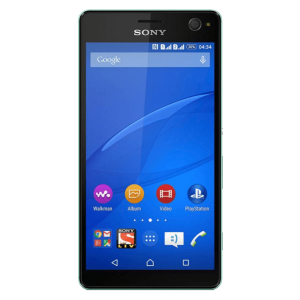 The Sony Xperia C is a mobile device that has a touchscreen and an Android 4.2.2 Jellybean operating system. It is a rectangular phone that has a soft back cover instead of a glass chassis like similar devices. It has a 5-inch display that is 960 x 540. There is an anti-shatter film on the phone that prevents all of the pieces of the screen from scattering all over in the event it is damaged. It has an 8-megapixel rear camera as well as a 3-megapixel front-facing camera. It is a dual SIM device. The second SIM is available to those who live in areas that are only supported by 2G technology. Of course, like most makes of Smartphone, this device is not immune from accidental damage or faulty components. If you would like a cost-effective and time-saving repair solution then check out our parts with a view to mending your own handset. This phone was popular on release and remains an attractive money-saving proposition today. here are some reasons why. Is this a 4G device? No. This device runs on 2G or 3G technology. Is this phone LTE capable? No. This device is not capable of that. Is rooting allowed for this device? No. Sony has blocked rooting for this particular model. Is there a headset included with this device? Yes, but the quality is not that great. It would be best to buy a higher quality pair separately. Why Buy Spares And Replacement Components From iParts4U? Attractive pricing for high-quality parts and tools. 1-year minimum warranty on our parts. 30-day return policy for products delivered in a faulty condition. Price-matching of lower-priced parts on a like-for-like basis. Fast shipping within 24 hours normally or next working day. Are Your Replacement Xperia C Parts Genuine? We sell a mix of genuine and aftermarket parts but always identify where a part is an original component.